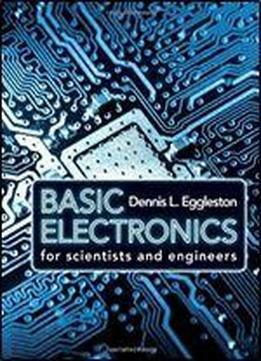 Ideal for a one-semester course, this concise textbook covers basic electronics for undergraduate students in science and engineering. Beginning with the basics of general circuit laws and resistor circuits to ease students into the subject, the textbook then covers a wide range of topics, from passive circuits through to semiconductor-based analog circuits and basic digital circuits. Using a balance of thorough analysis and insight, readers are shown how to work with electronic circuits and apply the techniques they have learnt. The textbook's structure makes it useful as a self-study introduction to the subject. All mathematics is kept to a suitable level, and there are several exercises throughout the book. Password-protected solutions for instructors, together with eight laboratory exercises that parallel the text, are available online at www.cambridge.org/Eggleston.